Kevin Colket is the Founder and CEO of the Global Hospitality Investment Group (“GHIG”). GHIG is a recently incorporated hospitality private equity firm which will make equity and debt investments in hotel, serviced apartment, student housing, and co-living deals in major city and leisure destinations across the globe. GHIG will target single asset, portfolio, and company deals with a target equity check size of $50M to $300M per deal. GHIG is currently building out its team for its Hong Kong, New York City, and London offices and hopes to make its first investment in Q2 2019. 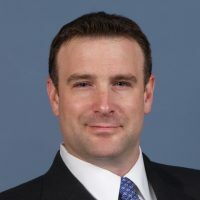 Prior to founding GHIG in January 2019, Mr. Colket spent 11 years working at Starwood Capital Group across the US, Europe and Asia Pacific regions and held various hospitality group leadership positions including Co-Head of the Global Hotel Acquisitions Group, Head of the European Hotel Acquisitions Group, and Head of the Asia Pacific Hotel Group. Prior to his departure late 2018, Mr. Colket led the firm’s Asia Pacific Real Estate Acquisitions Group from its HK office. Prior to joining Starwood Capital, Mr. Colket worked as Director of Acquisitions and Development for Edinburgh Management, a U.S. based hotel joint venture with the Bank of Scotland. Mr. Colket earned an MBA from the Harvard Business School and a BA in economics from Trinity College.